Complex. Floral. Herbal. Good with tea. Light. Rich. Smooth. Good with Pancakes. Robust. Strong. Distinict. Good with hard cheeses. 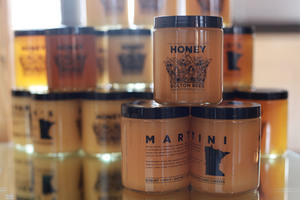 Honey Produced from Pollinator-Friendly Solar Arrays.